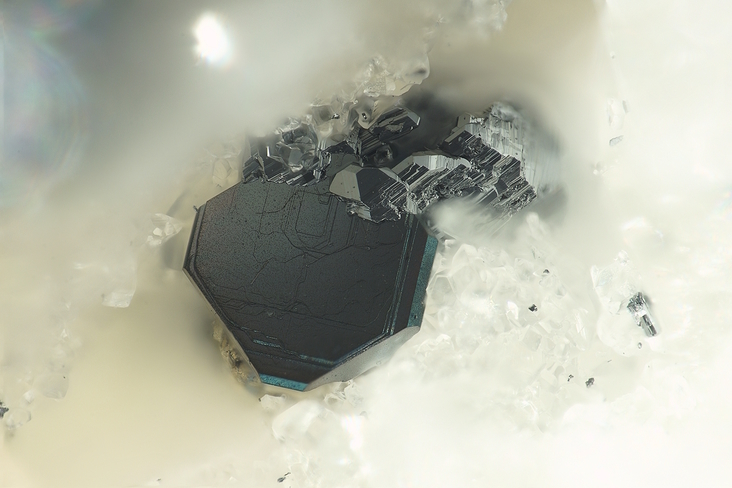 Quadratite: Mineral information, data and localities. The name is derived from the conspicuous quadratic shape of the mineral. The Cd analogue of manganoquadratite. Smithite 9 photos of Quadratite associated with Smithite on mindat.org. Jordanite 7 photos of Quadratite associated with Jordanite on mindat.org. Greenockite 2 photos of Quadratite associated with Greenockite on mindat.org. Galena 1 photo of Quadratite associated with Galena on mindat.org. Seligmannite 1 photo of Quadratite associated with Seligmannite on mindat.org. Marrite 1 photo of Quadratite associated with Marrite on mindat.org. Wurtzite 1 photo of Quadratite associated with Wurtzite on mindat.org. 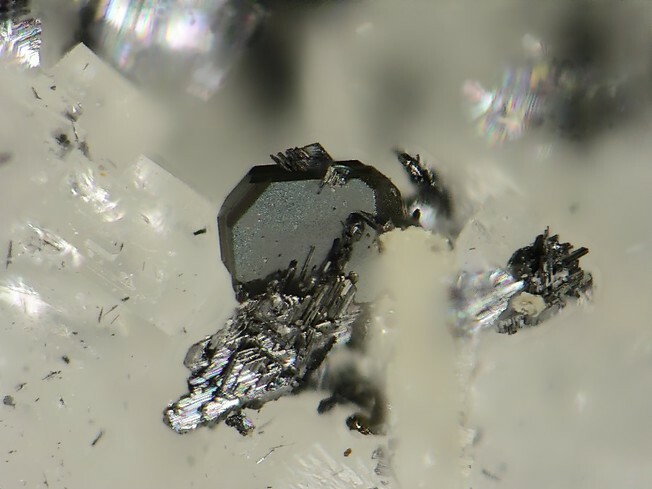 Graeser, S., Lustenhouwer, W., Berlepsch, P. (1998): Quadratite Ag(Cd,Pb)(As,Sb)S3 - a new sulfide mineral from Lengenbach, Binntal (Switzerland). Schweizerische Mineralogische und Petrographische Mitteilungen 78, 489-494. 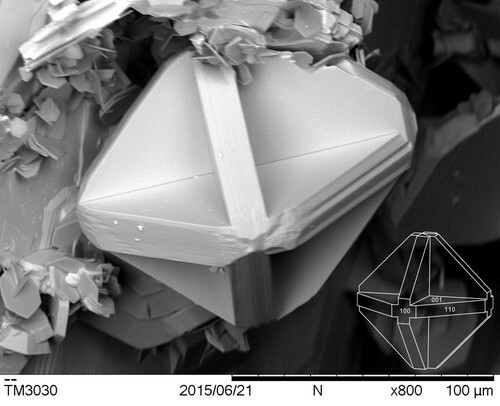 Bindi, L., Spry, P. G., Bonazzi, P., Makovicky, E., Balić-Žunić, T. (2013): Quadratite, AgCdAsS3:Chemical composition, crystal structure and OD character. American Mineralogist 98, 242-247.